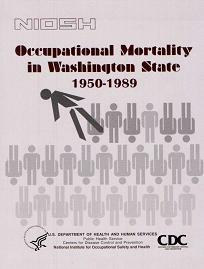 The occupational and cause-of-death information on 588,090 Washington State male deaths for 1950-1989 and 88,071 female deaths for 1974-1989 was analyzed using an age and year-of-death standardized proportionate mortality ratio program. A detailed cause-of-death analysis (161 causes) is published for each of 219 occupational categories for males and for each of 68 occupational categories for females. The occupational mortality findings are compared with those of the Registrar General and with the published occupational mortality literature. The Washington State mortality pattern is, in general, consistent with both the Registrar General’s results and with the published literature. Some of the new occupational mortality findings published in the 1950-1971 report and in the updated version have been confirmed. The previous finding of a leukemia increase in workers exposed to electric and magnetic fields is confirmed in this report.